LAS VEGAS, Jan. 23, 2018 – Two Kenworth T880S mixers and a T880 pumper are the featured construction trucks in the Kenworth Truck Co. booth (No. 6613) at the 2018 World of Concrete Show Jan. 23-26 at the Las Vegas Convention Center. The Kenworth T880S with set-forward front axle is the go-to configuration for mixer customers whose trucks need to meet the federal bridge formula. The first Kenworth T880S mixer, operated by CalPortland, is equipped with a 10.5-yard McNeilus Bridgemaster® mixer body that meets the federal bridge standard. The T880S is specified with a Cummins ISL G Near Zero engine rated at 320 hp and 1,000 ft-lb of torque, an Allison 4500RDS 6-speed automatic transmission, set-forward 20,000-pound front axle, and a 44,000-pound tandem rear axle. The second Kenworth T880S mixer, operated by Cemstone, is equipped with an 11-yard Con-Tech BridgeKing® mixer body. The T880S has a Cummins ISX12 engine rated at 335 hp and 1,450 ft-lb of torque, Allison 4500RDS 6-speed automatic transmission, set-forward 20,000-pound front axle, and a 46,000-pound tandem rear axle. The T880 in Kenworth’s booth features the innovative Putzmeister 38X-5-meter, truck-mounted concrete boom pump with five-section boom arms and pedestal for increased maneuverability, reduced overall weight and boom unfolding height, and more user-friendly design. 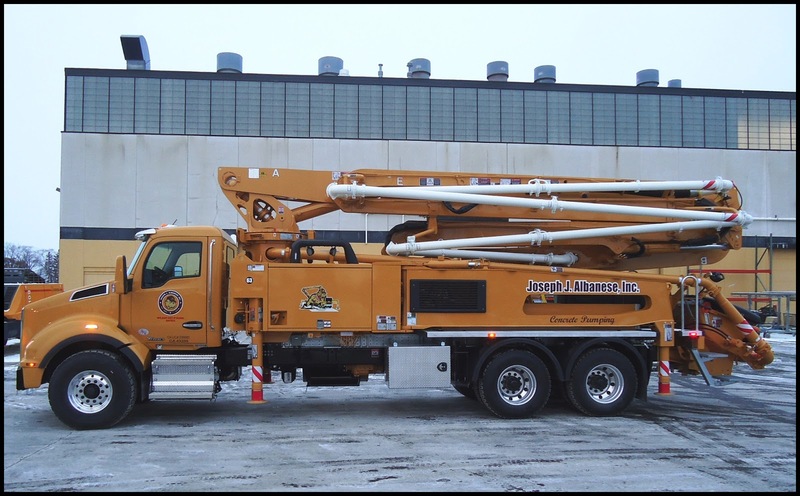 The T880 is owned by Joseph A. Albanese Concrete Pumping. A PACCAR MX-11 will also be displayed in the Kenworth booth. For weight-sensitive applications, the 10.8-liter PACCAR MX-11 engine saves 400 pounds compared to a 13-liter engine, offers an impressive power to weight ratio, and low fuel consumption. 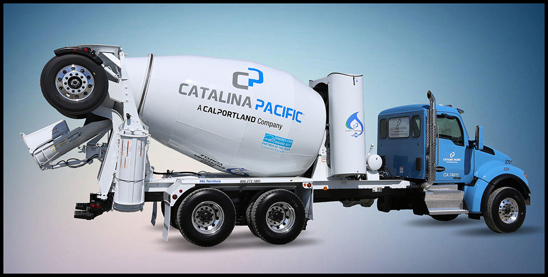 The PACCAR MX-11, with up to 430-hp and 1,650 lb-ft of torque, is well-suited for ready-mix trucks. “The hallmark of the vocational flagship Kenworth T880 series is its excellent performance and productivity, low operating cost and outstanding driver comfort. Truck operators can depend on the T880 and T880S to get the job done in their specific vocational applications,” said Kurt Swihart, Kenworth marketing director.